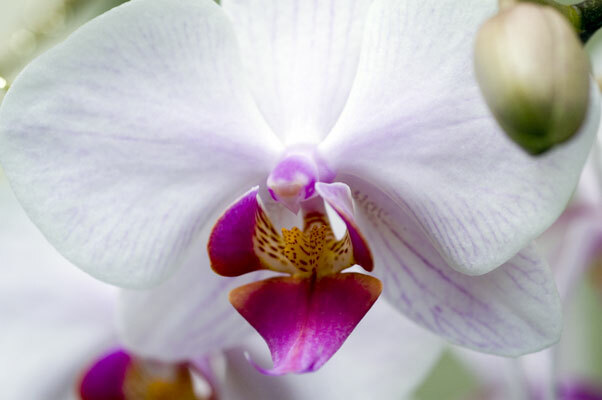 Bring the beauty of gorgeous orchids into your home! 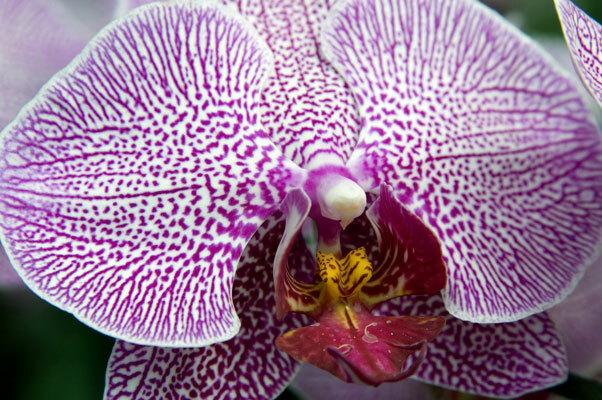 The Ambient Orchids DVD is an interactive video presentation of over 380 high resolution photographs of 240 unique orchids in their natural habitat. At any time during this two hour program, you can interactively zoom in on the tiniest detail using just your DVD remote control. Other interactive features include custom playlists and loop mode. Formatted to always fill the entire screen regardless of your TV (16:9 or 4:3). 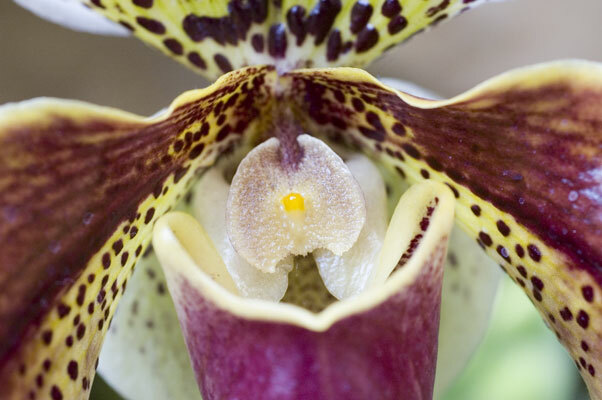 Immerse yourself in over two hours of beautiful orchid imagery. 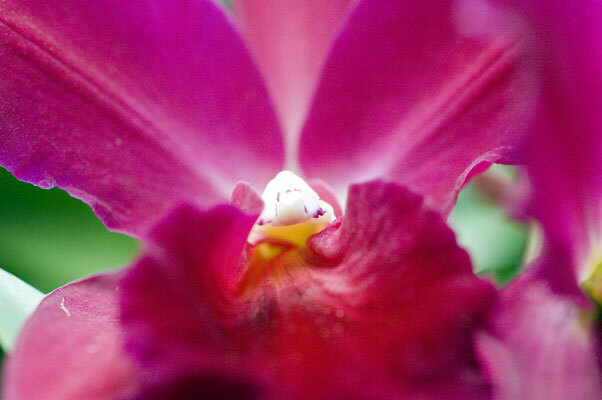 Each bloom was painstakingly photographed in order to capture the tiniest of details. Simply pop the disc into your DVD player and sit back and enjoy the exotic orchid garden slideshow. 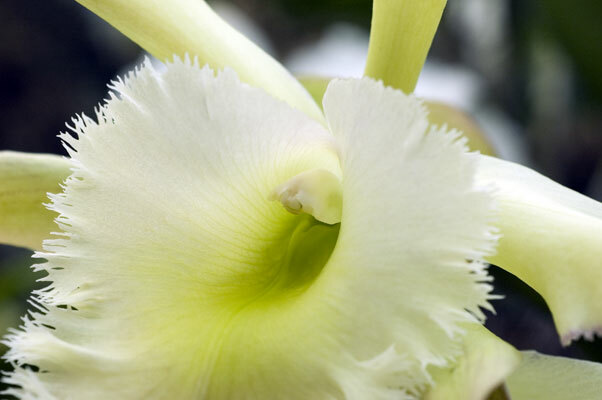 At any point during playback, you can zoom in on the action or pop up the name of the flower with just a few presses of your DVD remote control. 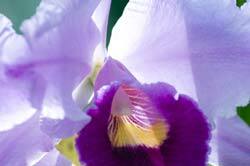 The Ambient Orchids DVD can be set to loop infinitely. 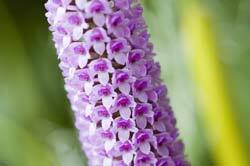 You can even create custom playlists based upon orchid type. Bonus material includes wallpapers for your computer and printable educational documents about orchids. 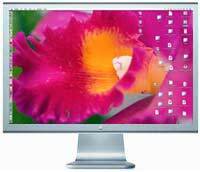 Ambient Orchids is formatted to always fill the entire screen on any type of television. Choose between three different music choices as well as a 5.1 surround sound nature soundtrack. At any point while watching one of the 6 scenes in Ambient Orchids, you can enter Still Image Mode. Simply press the "Enter" or "Set" button on your DVD remote control and a full-screen still image of that flower fills your television. At this point, you can do cool things like zoom in and out and turn the flower name on and off. Ambient Orchidsincludes an incredibly cool interactive zooming feature. At any point during Still Image Mode you can use the up and down arrow buttons on your remote to zoom in and out on a flower. The detail is absolutely stunning. Curious about the name of a particular orchid? 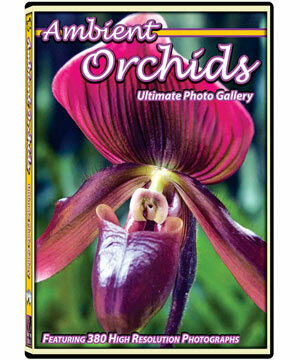 It's simple to find the answer with the Ambient Orchids DVD. A single click of the remote and the name pops right up. It's just as easy to turn the name off. So, pick up a copy of Ambient Orchids and start clicking! Every DVD in the Ambient Series has the ability to loop any scene. This means there won't be any breaks in the action if you want your favorite scene to play over and over. Or you can simply put the entire DVD on repeat. 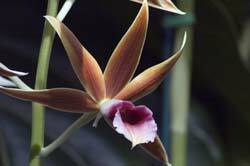 You can pair any scene in Ambient Orchidswith a 5.1 surround sound nature track or the music of classical piano composer, Frédéric Chopin. Nature sound effects or Chopin. You make the call. 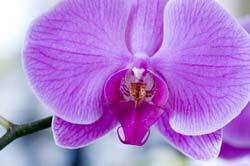 The playlist feature, a hallmark of the Ambient Series, allows you to organize the six scenes in Ambient Orchids in any order that you wish. You can pair either of the audio choices (nature sounds or Chopin) with any scene. The playlists loop automatically. You can create your own custom playlist. Or you can view the entire DVD. Order the six scenes any way you wish. Lastly, pick an audio choice for that scene. Repeat up to 6 times. 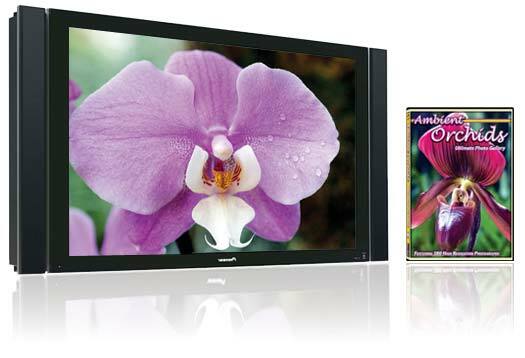 No matter what type of television you own, Ambient Orchids is designed to look amazing and will always fill the entire screen. You'll never have black bars. 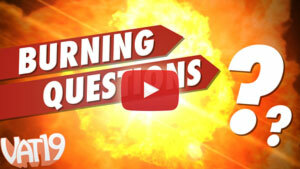 The DVD includes a video that explains how to setup your DVD player for optimum viewing. Bonus #1: Good looks and brains, too! Ambient Orchids is a double threat! Not only is the DVD filled with gorgeous high resolution images of over 240 different varities of orchids, but it also includes a bonus narration scene where you can learn fascinating orchid facts. As another bonus, we've included 390 desktop wallpapers for your PC or Mac. Each wallpaper is at 1600x1200 resolution. 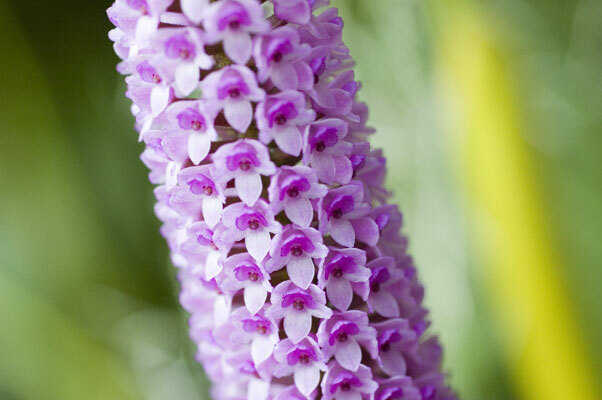 Ambient Orchids contains 9 PDF reference documents containing loads of interesting facts about some of the most common Orchid genera. In addition, we've included a printable remote control reference document. This explains which buttons to press on your remote to access all of the cool features of Ambient Orchids. Don't worry, though, the DVD is designed to be extremely easy to use and setup. Click on the image to the left for a sample PDF. That's a lot! View a complete list of all of the orchids on the Ambient Orchids DVD. Because they're just so darn pretty, here's some more flower shots!